Bring the essence and romance of the nautical life into your home with our original handcrafted candles. I came up with an idea to make candles from traditional sailor knots so the search began and I found a professional knot maker and told him my vision. He then, handmade and crafted two different types of knots and the vision started to come to life. 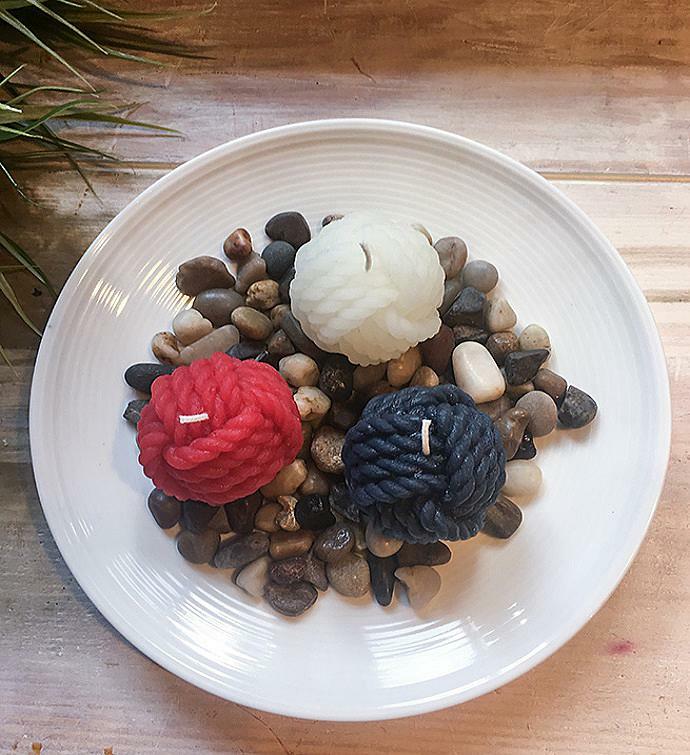 Once we received the knots we then created the molds in my home shop and beautiful renewable beeswax candles were poured. All of our products will enhance and beautify your individual decor and offer great gifts for those who are on your list to give an original handmade sustainable product made in the USA. These mini monkey's fist measure 1.5x1.5 each and the burn time is 7 hours each +/-. Bring the essence and romance of the nautical life into your home with our original handcrafted candles.